Brighton & Hove FrontRunners have now been recognised by Parkrun, so you can now add us to your running profile and follow how other BH FrontRunners get on at Parkrun every week. It’s really simple to do, sign in to your Parkrun profile. Once you are logged in, click “Update” to update your details. 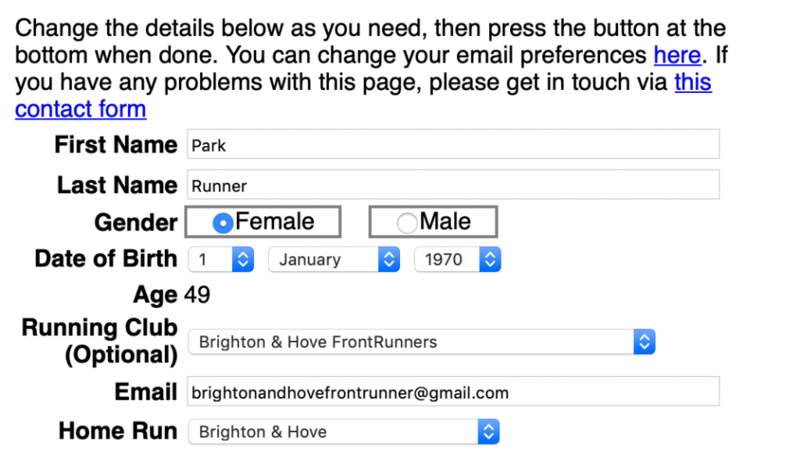 Under “Running Club (Optional)” select Brighton & Hove FrontRunners from the drop down. Now when you get your weekly results you will see Brighton & Hove FrontRunners listed next to your name. You can click this to see who else from the club has ran and get the latest Parkrun updates. It’s the first Wednesday of the year and our regular club run is back after a short Christmas break. 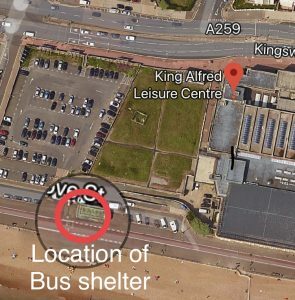 We will be meeting at our usual location at the beach shelter nearest to the entrance to the King Alfred Leisure Centre car park at 7pm. Tomorrow’s run will be an out and back. We will match similar runners together to run as a group and there will always be a back marker to ensure you don’t come last. New to us? Come along 5 minutes early so we can you registered with us. Our monthly Parkrun Series will still go ahead on the last Saturday of every month, our December Parkrun will see us hitting the hilly Bevendean Parkrun on Saturday 29th December. Trail shoes are recommended and prepare to get wet and muddy. Special New Year’s Day Parkruns will be taking place around Brighton. A couple of FrontRunners are planning to do the double – Hove Prom at 9:00am followed by Hove Park at 10:30am. Can’t make any of those but still want to run? Contact us with your details to join our friendly FrontRunners Whatsapp Group and put a post out to other members for a running buddy. If you’re hanging up your trainers until the New Year – we look forward to seeing you in 2019! Thinking of joining our January 2019 Beginner’s Group? We only have a few places remaining! 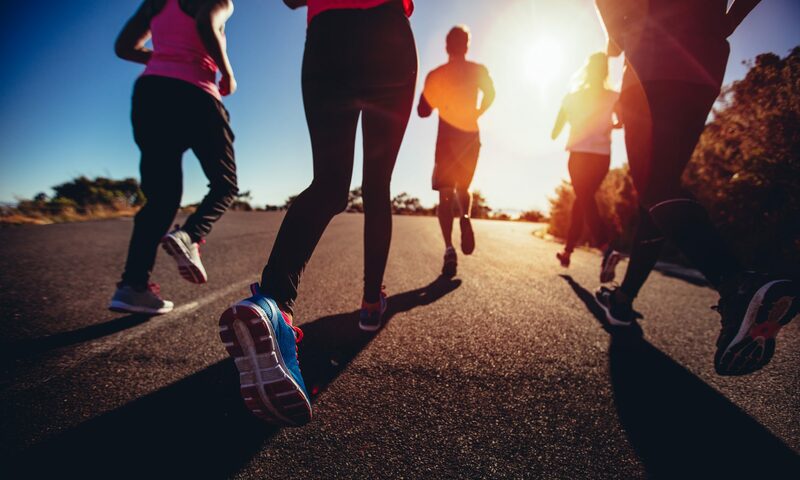 Our beginners group is for gay, lesbian, bisexual, trans and queer (LGBTQ+) people who would like to build the confidence to run 5km continuously without stopping. You can read more about our Couch to 5km Beginner’s Group here. If you have already signed up, you should have received your first welcome email with information about the group. If you haven’t please check your junk mail folder. Numbers on our Beginner’s Group are limited to ensure there are enough volunteers to support all new runners. We expect all places to go before the New Year, so if you are interested in joining, make sure you sign up as soon as possible. Once all spaces are taken we will be starting a waiting list. Already can run 5km confidently? Why not join our Wednesday night club runs – our next run will be Wednesday 2nd January. This week: Our final Wednesday run of 2018! Wednesday 19th December is our final Wednesday evening club run for 2018. As the last one of the year, rather than our normal club run, we will be mixing it up with some fun running games along the promenade. Meet as usual at 7pm at the Beach Shelter on Hove Street, entrance to King Alfred Car Park. We will be having informal Christmas drinks after the run. All welcome. Our normal club runs will be back on 2nd January 2019. 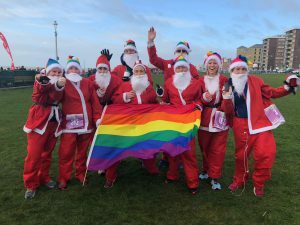 Several FrontRunners turned up in their best Santa wear, with bespoke Rainbow Hats made by our own member Jen, to run 5km and raise funds for Rockinghorse, a Sussex charity funding vital medical equipment for sick and ill children. A couple of FrontRunners even had time to do the Hove Prom Parkrun before donning their Santa suits. Well done to all runners! Update: we also received a mention in The Argus write up of the day. Thinking of joining us this week? Information on where to meet us! As the winter draws in, with even darker evenings, a number of running groups are taking advantage of the well lit promenade around the King Alfred to train and run on a Wednesday night. We meet under the promenade “bus shelter” closest to the King Alfred Leisure Centre car park, located on Hove Street on the Beachside of the road. Look for the Pride flag. If you are driving, parking is free on either Hove Street or in the King Alfred Leisure Centre car park after 6pm. We also have access to the dry side changing and shower facilities for free within the leisure centre. Changing facilities within the King Alfred are gendered male/female, however, there are also privacy shower and changing facilities for people not wanting to use communal facilities. Lockers require a £1 coin, which is refunded. For our winter runs we are staying on the promenade and heading towards Brighton, making best use of the street lighting. Before setting off we will group similar speed runners together. If you haven’t run before or not sure what speed you run, don’t worry we can figure it out in the first part of the run and there is always someone at the back who will make sure you aren’t last. We run in all weathers, so come dressed appropriate to the weather. We recommend a windproof running jacket as we are running along the seafront. There are a number of specialist running and sports shops in central Brighton and central Hove, and a number of the discount supermarkets also sell running gear at this time of year. Brighton and Hove FrontRunners is now affiliated with International Front Runners. Our affiliation was agreed at the latest IFR general meeting, which took place just this week. International Front Runners is an affiliation group of LGBTQ+ running / walking clubs across the world. Having started in the US with the first FrontRunners club there at now a hundred clubs of various sizes affiliated with International Front Runners. BHFR is the latest club to be affiliated from the UK, joining London, Birmingham, Manchester, Leeds, Newcastle, Glasgow and Edinburgh to bring the total number of UK affiliated LGBT running clubs to nine. Getting into the festive mood, BHFR members are taking part in Brighton’s annual 5k Santa Dash. The Santa Dash is a fun non-timed event to raise money for Rocking Horse, a Brighton based charity supporting unwell and sick children in Sussex, where participants run the course dressed up as Santa Claus. Members are going to be running in Rainbow Santa Hats to add a Pride-spin to the dash and make sure they stand out amongst all the Santas! Request your Rainbow Santa Hat via our Facebook Event Page. Our monthly postrun social will take place Wednesday 28th November, just a few minutes away from the King Alfred Leisure Centre at The Better Half, Hove. We have an area reserved from 8pm. We have free use of the King Alfred lockers and changing facilities for anyone wanting to change after the club run. For anyone thinking of running with us, the social is an ideal time to come down and meet some of the group and get to know us.